DU B.Ed Admission 2019 Form | Process | Notice | DU Correspondence Distance B.Ed Admission 2019 |Eligibility | Cut Off | Result | Last Date DU B.Ed Admission 2019-20. 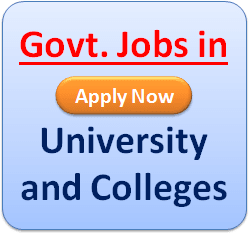 Applications are invited by University of Delhi (DU), for admission to Bachelor of Education (B.Ed) Course commencing in the session July, 2019. The Bachelor of Education (B.Ed.) Programme of DU aims at developing the understanding and competencies required by practicing teachers for effective teaching-learning process at the secondary stage. I) Bachelor’s degree or any other qualification recognized equivalent thereto from the University of Delhi or any other recognized University with a minimum of 50% marks in aggregate. II) The candidate should have studied two (teaching) subjects for at least 200 (hundred) marks each at graduate level, and should have obtained an aggregate minimum of 50% marks in each of the two (2) subjects. I) Honor’s degree from the University of Delhi or any other qualification recognized equivalent thereto from any other recognized University, with a subject and with a minimum of 50% marks in aggregate. II) Should have studied the Honors Graduation degree in one subject with a total marks of more than 400, and should have obtained at least 50% aggregate marks in that subject. I) A master’s degree or any other qualification recognized equivalent thereto in any one of the subjects from the University of Delhi or any other recognized University, with at least 50% marks in aggregate. II) If the candidate intends to teach a different subject (other than Masters Subject as a second subject). The candidate should have studied one subject for at least 200 (two hundred) marks at the graduate level and obtained 50% in aggregate. OR I) A Master’s degree or any other qualification recognized equivalent thereto from the University of Delhi or any other recognized University, with at least 50% marks in aggregate in a subject not mentioned in List-I or List-II. Such candidates should have studied two school (teaching) subjects for at least 200 (hundred) marks each at graduate level. II) The Candidate would be required to select two teaching subjects, should have obtained a minimum of 50% marks in each of the two (2) subjects studied. Visit the website cie.du.ac.in and please go through the ‘Instructions for filling online B.Ed. form’ given in Appendix-I of B.Ed. Prospectus. Check your Eligibility according to the Eligibility criteria. 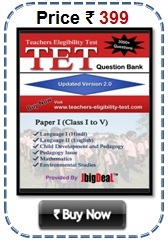 One will have to submit the entrance test fees before filling the Online form. Fees Payment can be made by either through Payment Gateway mode or by Demand Draft made in favor of ‘Registrar, University of Delhi’ payable at Delhi. After submitting the fees through one of the modes, applicants are required to note down details of fees, the Transaction ID if payment is made by Payment Gateway. If Demand Draft, the DD number and other details need to be noted down. DU B.Ed Entrance Test: All candidates are required to appear in the Entrance Test. It consists of two parts and can be taken in either English or Hindi. Part A consists of General awareness, Reasoning and language comprehension (compulsory for all candidates). 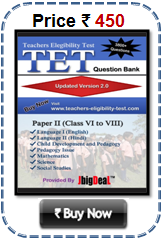 Part B (i) and B (ii) of the entrance test will assess the candidate’s teaching aptitude and understanding on the stream of the their chosen subjects’ up to Class XII. Procedure for Selection : Preparation of Merit lists based on Entrance Test Candidates will be selected on the basis of their performance in the entrance test depending on their rank in the merit list of their respective category and stream. A list of candidates selected will be prepared strictly in order of merit, based on their performance in the Entrance Test and their preference of institutions during allotment Counseling. In case of a tie, the candidate older in age shall rank higher. Want to apply for B.ed.. how can I get the form?? Want to spply for B.ed.. how can I get the form?? I want to know about there is chance for B.ed and I score 49.55% in B.COM . Is there any possitibility for B.ed. From where can we get the forms of b.ed? They are still not available. When can we expect them to get uploaded? How can i applied for B.ED in DU there are no option of online.PLEASE SHOW THE WEBSITE. and please tell me date of admission in b.ed and also entrance date. THANKS. How can i applied for B.ED in DU there are no option of online. what is the last date for applying in B.ED in du ? From where can I get the hard copy of admission form ? And I want to know the important dates for the admission process.